Working with gold leaf isn’t easy as it might seem. Sometimes, you have to be resilient enough to actually work on the best tactics to lose any of your precious gold leaves and use it in the way you have wanted. There are multiple times when you have come across DIY projects and thought of knocking it down easily. Well, this isn’t the case actually. The works and steps are a bit complicated than you might have thought about it beforehand, but gold leaves can add that fantastic touch to arts and crafts well. Terracotta pots are some promising examples to work with when you have gold leaves by your side. Now, you need all the necessary supplies near your hand, which will make this work an easy one for you. For the supplies, you need terracotta pots, leaf adhesives available in the arts and crafts stores and wide brushes. Remember that some of the best quality gold leaves are available from craft stores and you don’t have to pay much for the same. When coming to steps, first you have to dust the flower pot. Dip a brush in the adhesive and then paint on it, where you want to stick the gold leaf. Let it dry out a bit. Repeat this process and let this adhesive dry up until it is a bit tacky. Give this leaf some time to set in properly and then dry brush for removing the excess. You need all Craft Gold Leaf Supplies near your hand for help. You can use fingers to smoothen out bubbles or wrinkles. After removing the access, you have to paint the surface with a sealer. It ensures that the leaf is in its place permanently. Sometimes, some artists prefer using a gold leaf as the backdrop of any painting. The task might seem a bit tough but it is not when you have all the supplies by your side. You can either try to use the gold leaf for covering the backdrop or just use it for covering the frames, where you have the painting on. Remember to get the gold leaf in bulk amount to save some bucks. 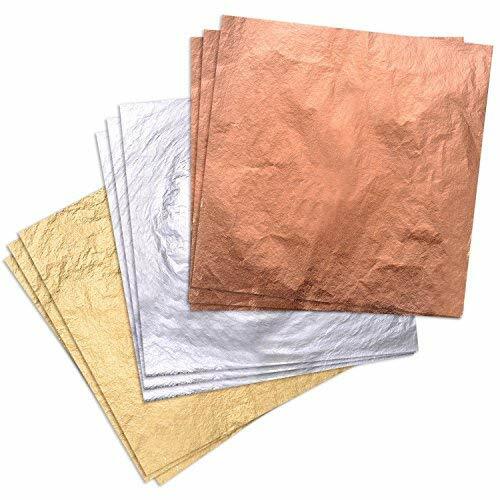 Be sure to compare between the real gold and the imitation sheets before you end up selecting one. After that, you need to be very specific with the frame style or the backdrop of the picture you are planning to create with the gold leaf. For that self-work, adding leaves on a golden backdrop is just perfect. It is highly recommended to get the best glue for sticking the leaves on the surface. Remember that once the leaf gets stuck to a place, there is no looking back from there. So, unless you have selected the best glue an area to place it, avoid using gold leaves at all. Once you covered up the points, you can always move forward to get some help from experts, working on gold leaves for years now.